Your organization depends on its data center to provide the electronic information required for daily operations. There isn’t a single day when the data center isn’t used. It is accessed around the clock by employees in the immediate location as well as those working via remote access. Employees in far-flung branches are also depending on the organization’s data center to be there whenever they need it. Deals can’t be made and vital decisions can’t be reached without the information stored in the data center. Because the data center is such an important part of your organization’s computer network, you need to make sure that it is regularly maintained. Periodic repairs need made, old components must be removed and new one installed. As the computer network grows, a data center maintenance team will need to come in and check to make sure that the center is handling all the new information correctly. All of these tasks have a price tag attached to them and as every member of an organization knows, those little price tags add up quickly. One great way to save money on your need for routine data center maintenance is to have a preventative maintenance plan with a qualified data service firm. Preventative maintenance is a necessary part of owning and operating a data center. Even though all data centers are designed to be durable, stable, and highly secure, you have to be aware that regular upkeep is required if your organization’s data center is going to last as long as it has the potential to. Preventative data center maintenance includes a thorough check of all components to assess the efficiency and responsiveness of each element. If a component is slow to respond or entirely unresponsive, it will need to be replaced. These small problems don’t take very long to fix. During repairs, there will be little or no noticeable system downtime. No one in the organization has to have their workflow interrupted by the preventative maintenance taking place. However, if regular maintenance is not performed, the little problems will begin to compound and turn into larger ones. The money you thought you were saving by skipping a preventative maintenance check will have to be spent many times over when it becomes necessary to repair large portions of the data center. 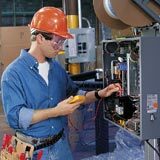 Larger center repairs may require system downtime, which will slow workplace productivity to a considerable degree. It’s clear how important it is to have preventative data center maintenance performed on a regular basis. A great way to ensure that your data center is regularly maintained is to purchase a service plan. Many data service firms provide these maintenance plans to organizations just like yours. Your service plan is a flat rate cost, so you’re never caught by surprise. You don’t have to waste time calling one service firm after another asking for quotes in order to find a good deal. You’ll know exactly how much you’re paying, so you can always be certain that you’re getting a good deal. And because your preventative maintenance plan will keep those small problems from turning into large ones, you’ll save a lot of time because your data center will never need to be taken offline for extensive repairs. Purchasing a data center maintenance plan for your organization is one of the best things you can do. Keep your valuable data center in good repair through regular preventative maintenance checks. This entry was posted in data center maintenance and tagged computer room maintenance, data center maintenance. Bookmark the permalink.